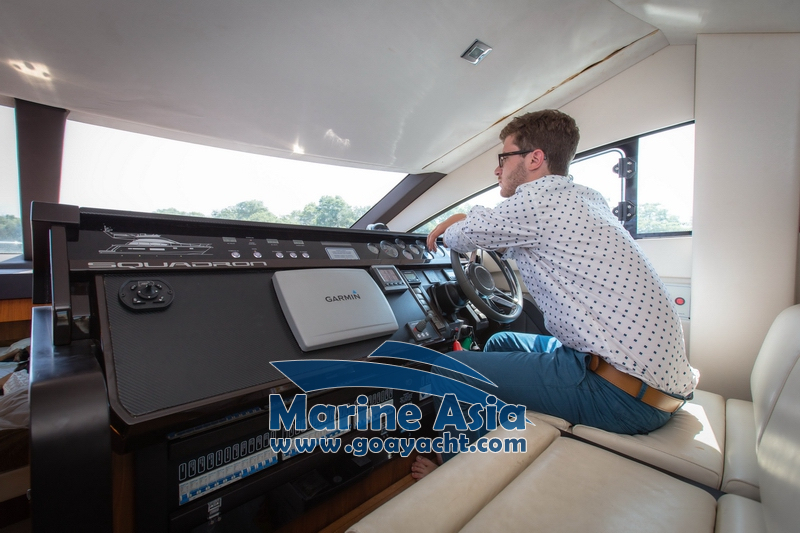 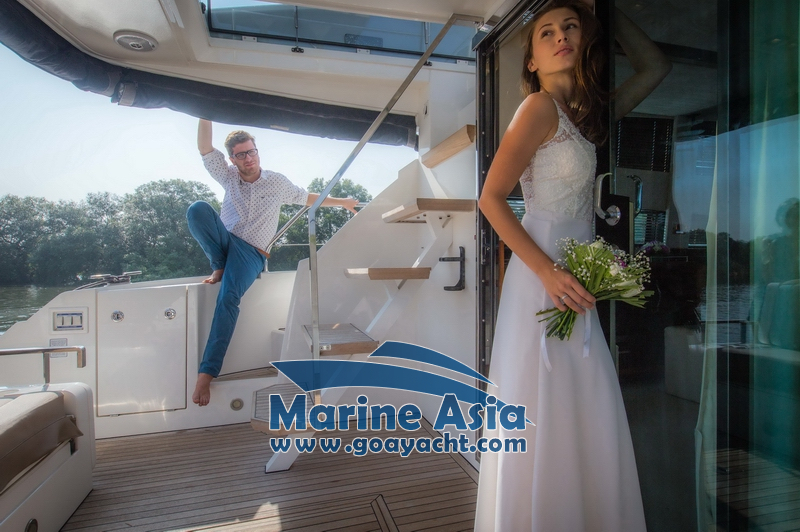 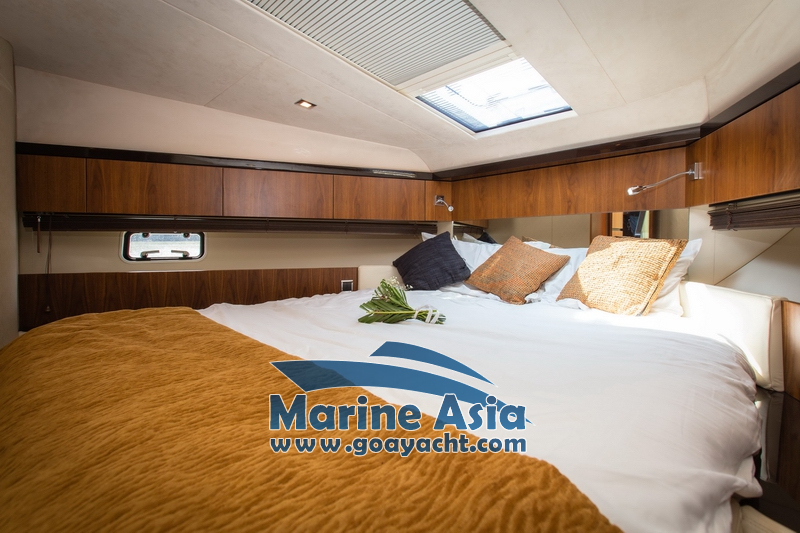 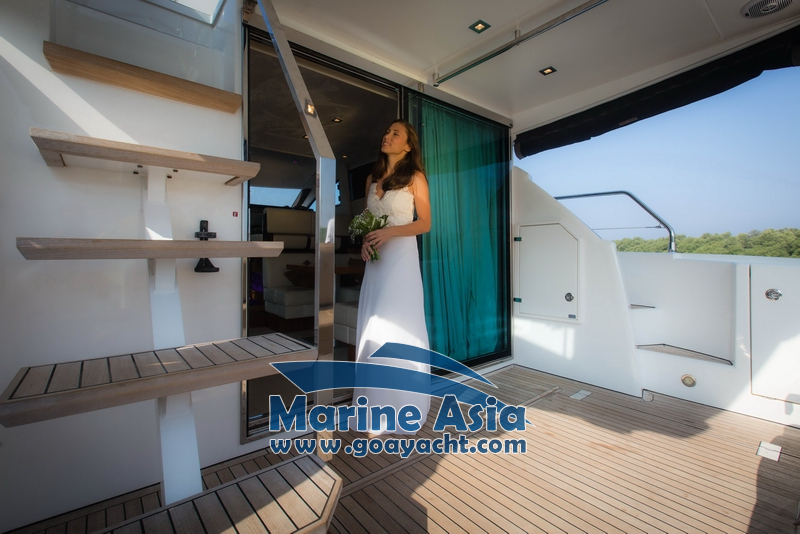 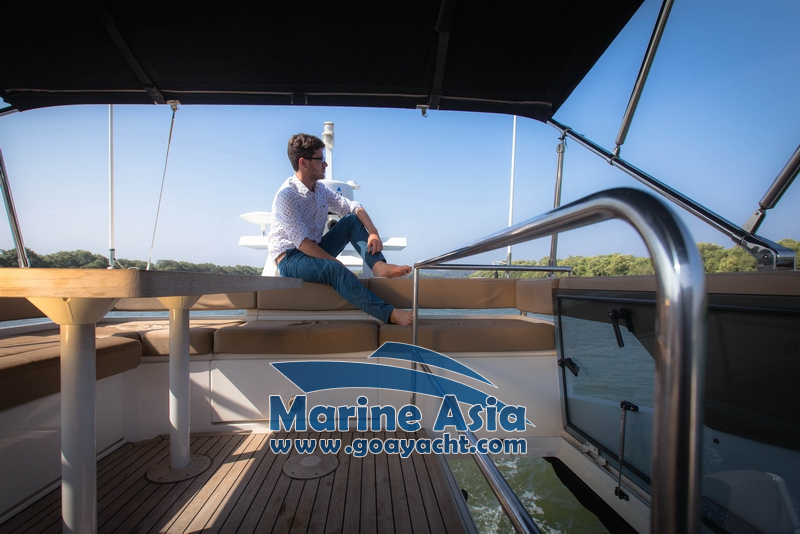 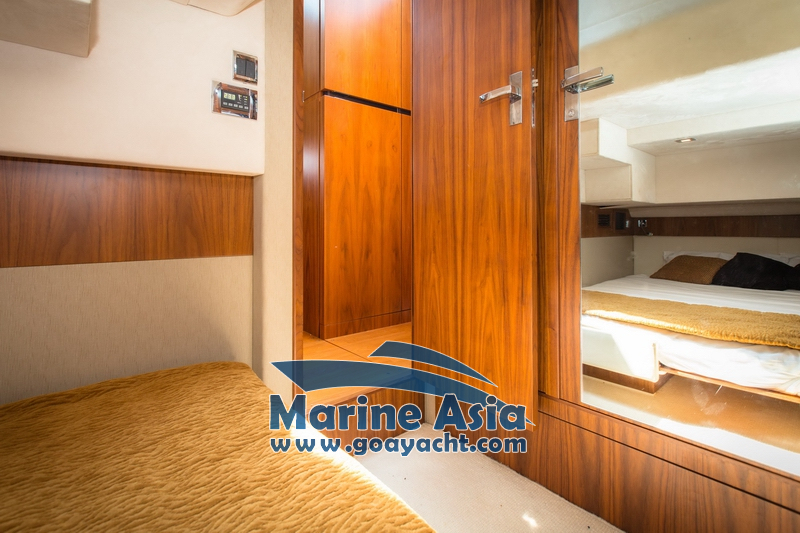 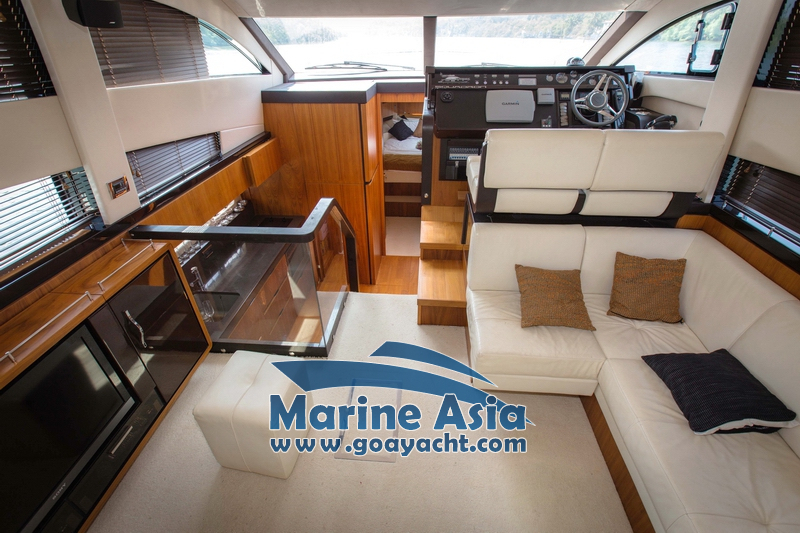 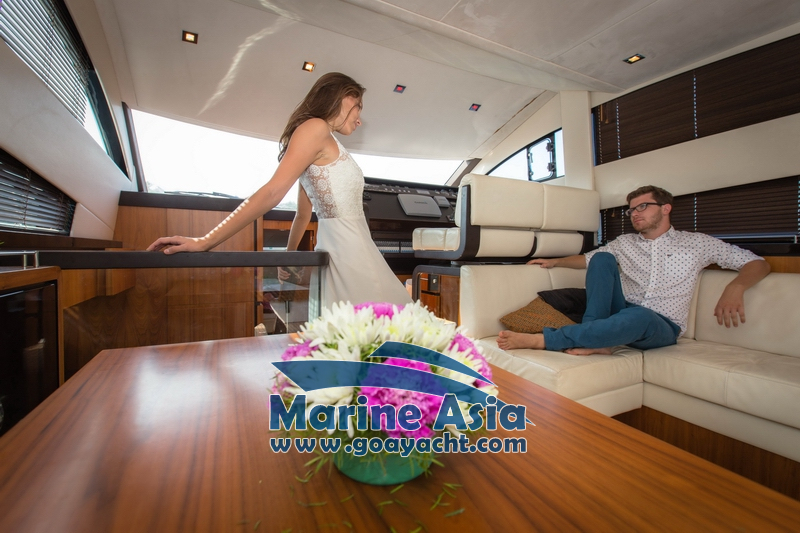 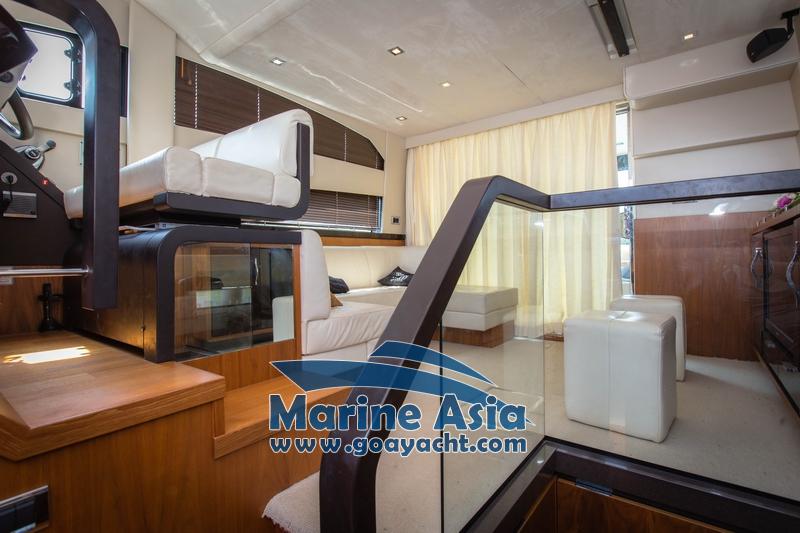 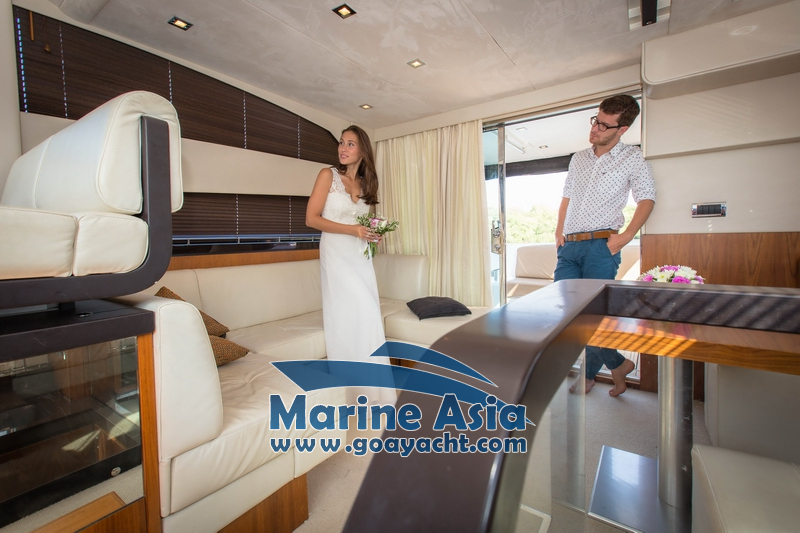 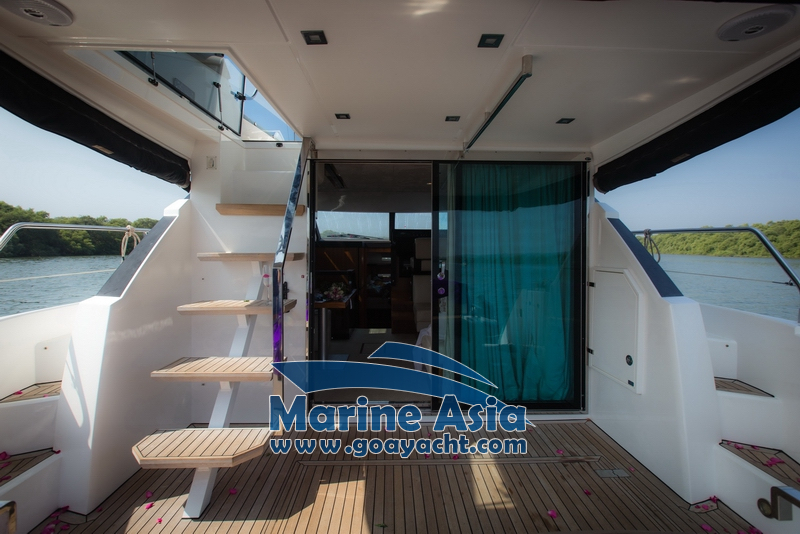 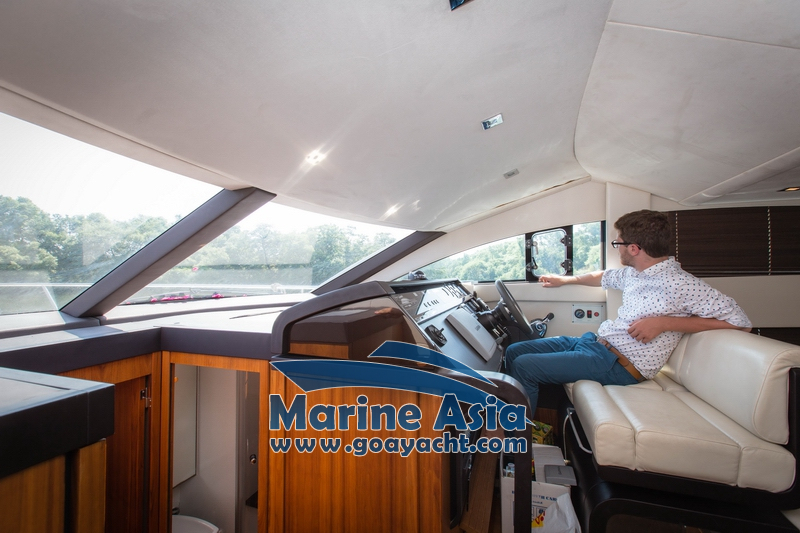 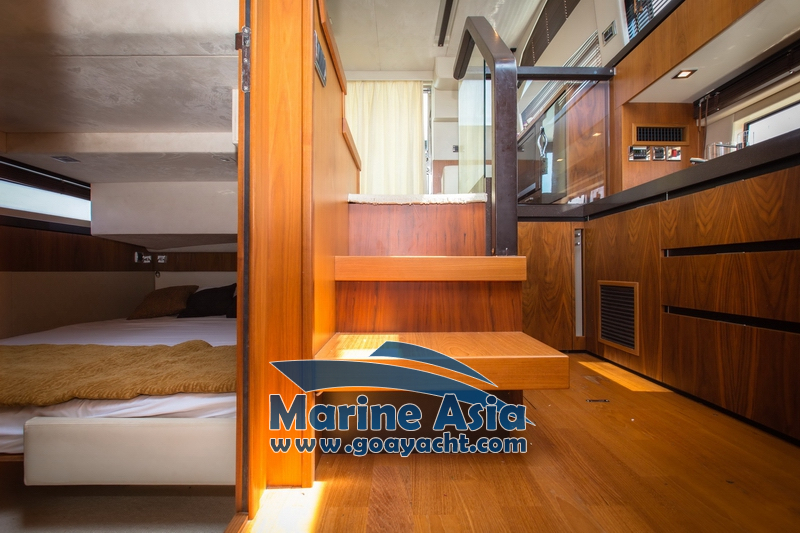 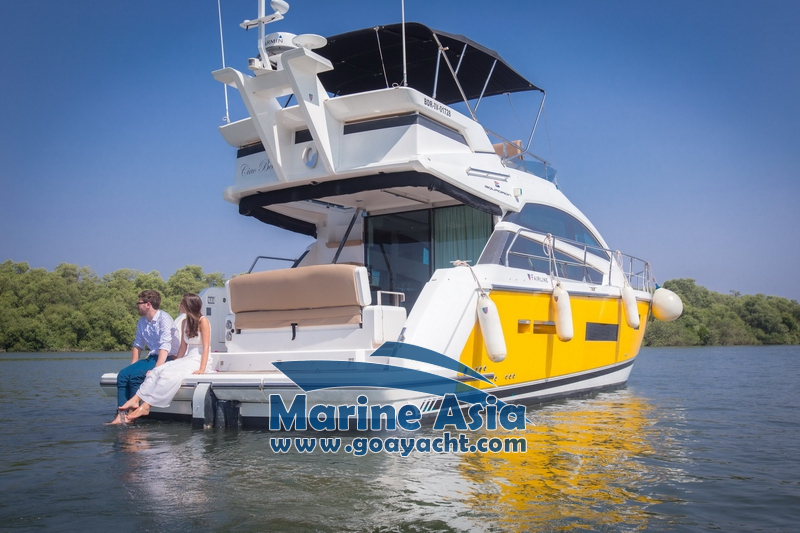 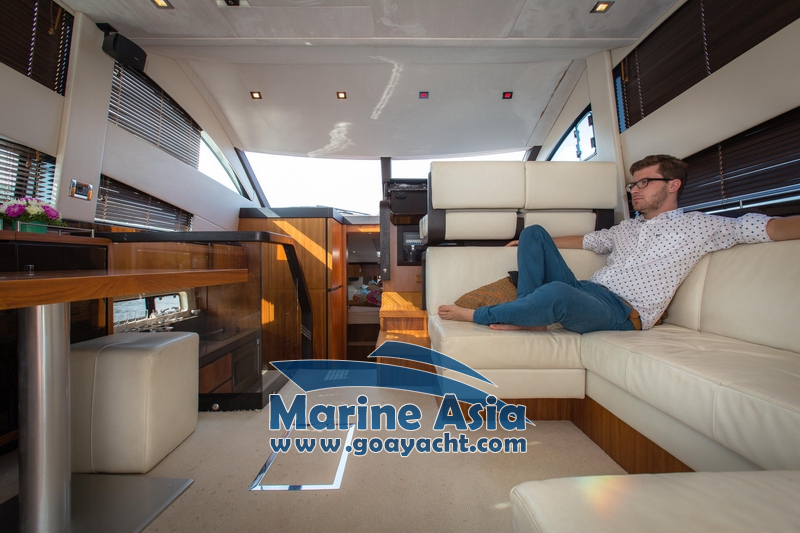 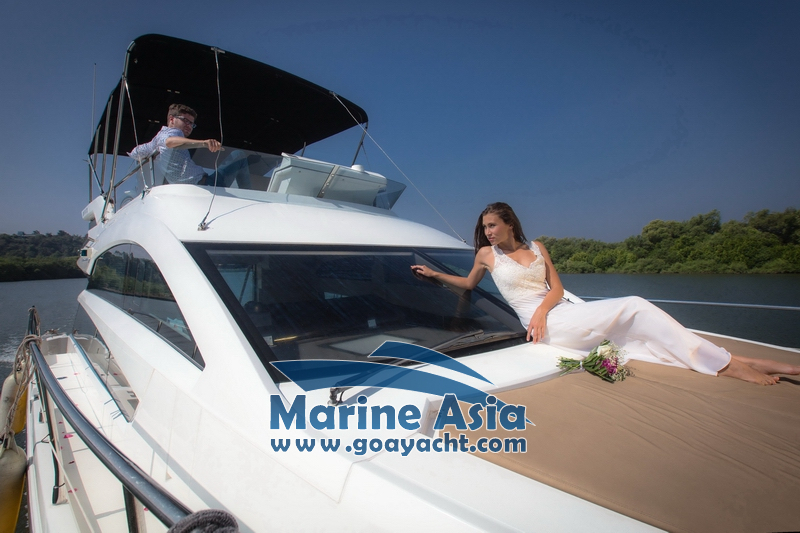 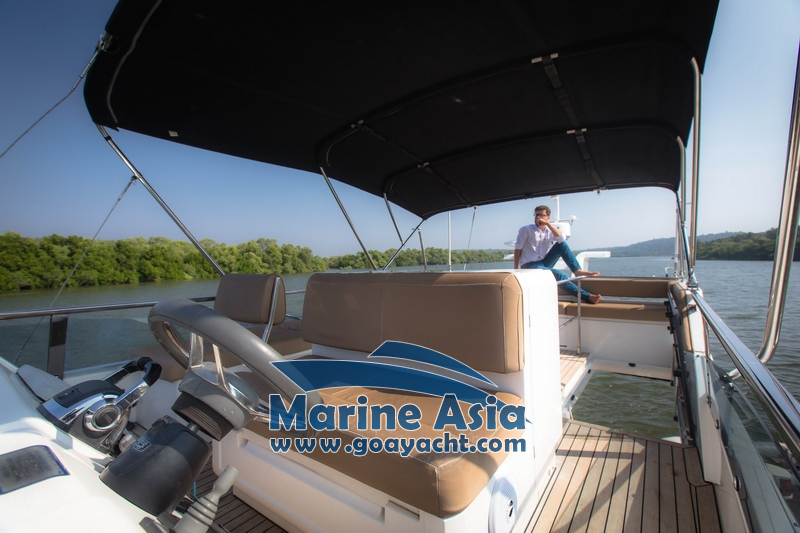 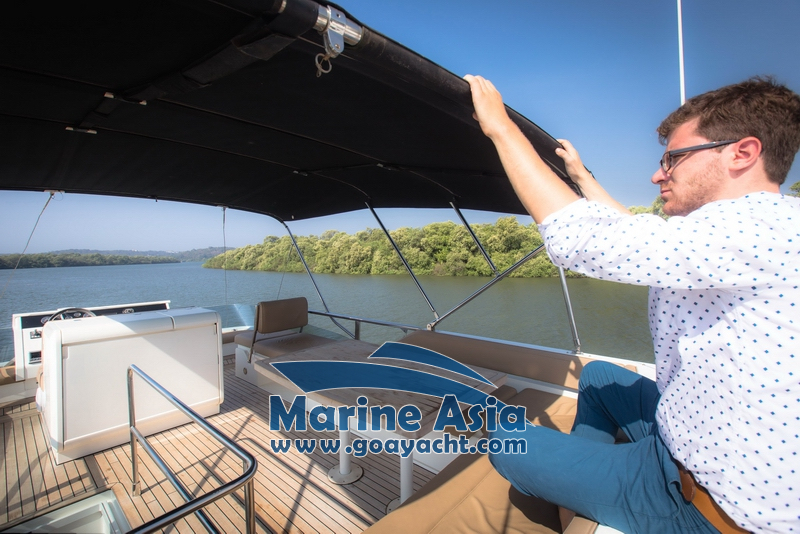 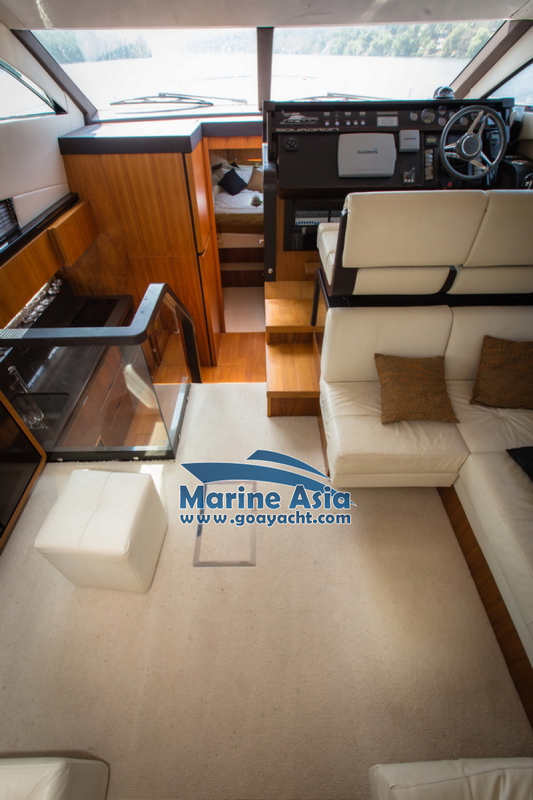 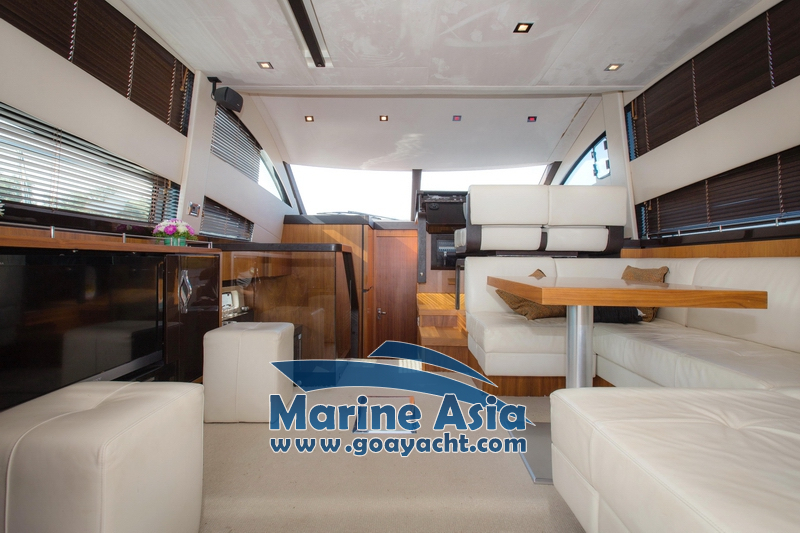 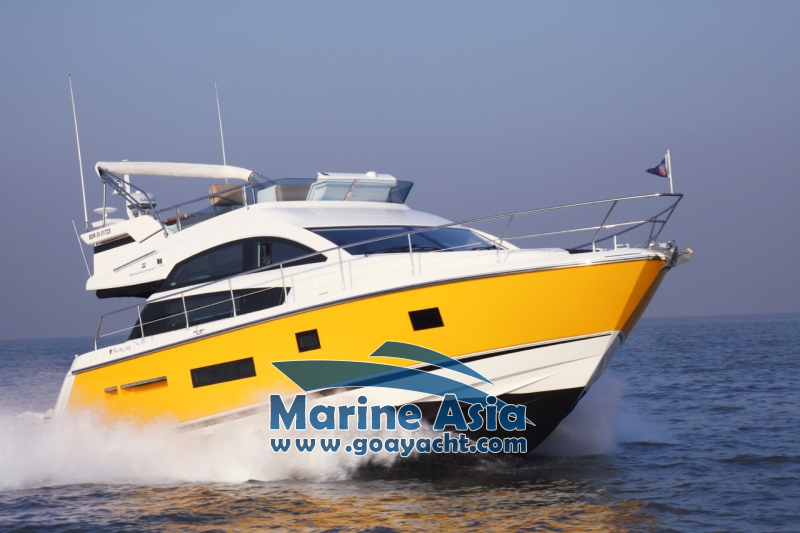 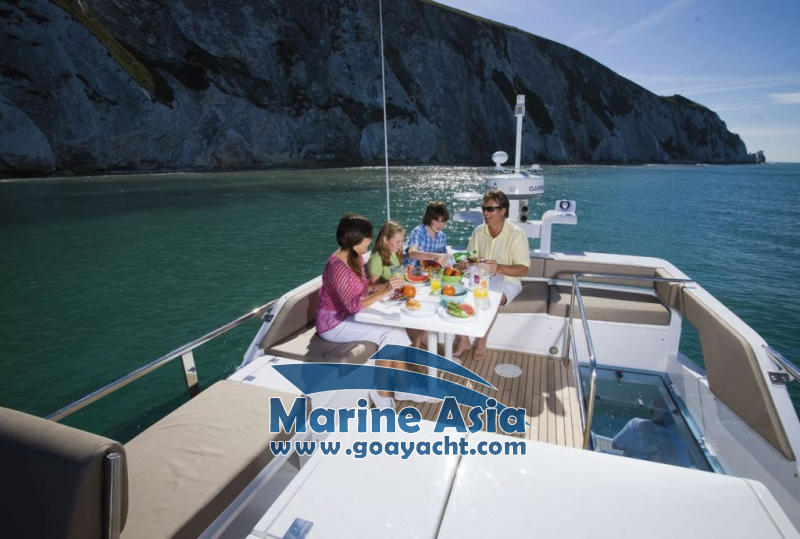 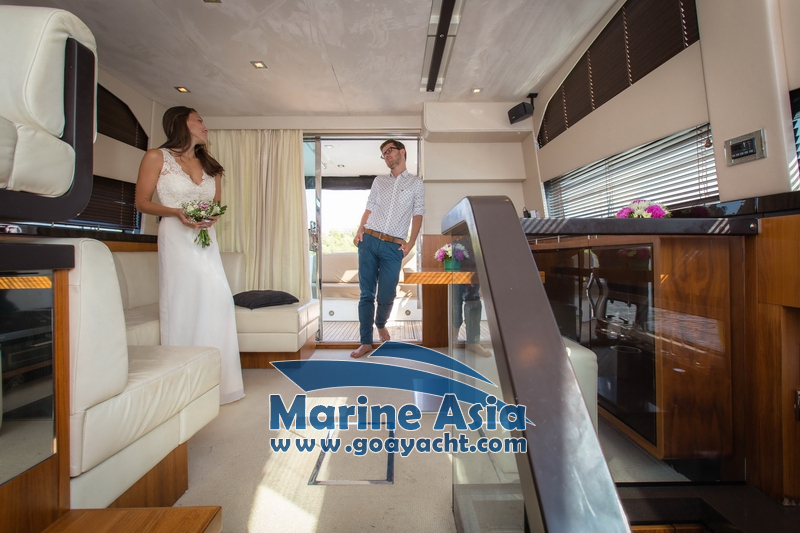 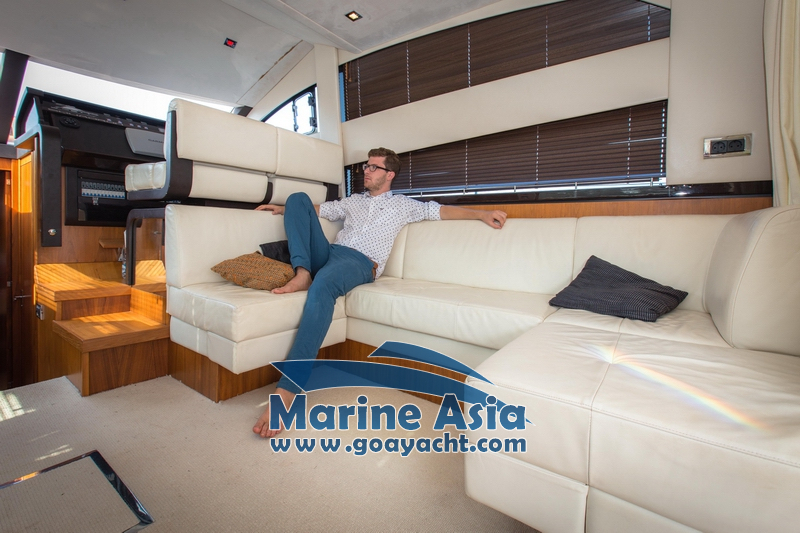 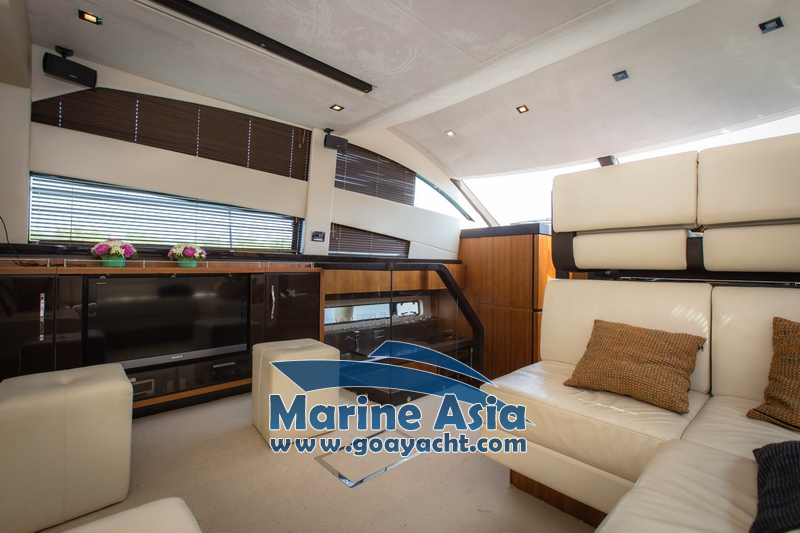 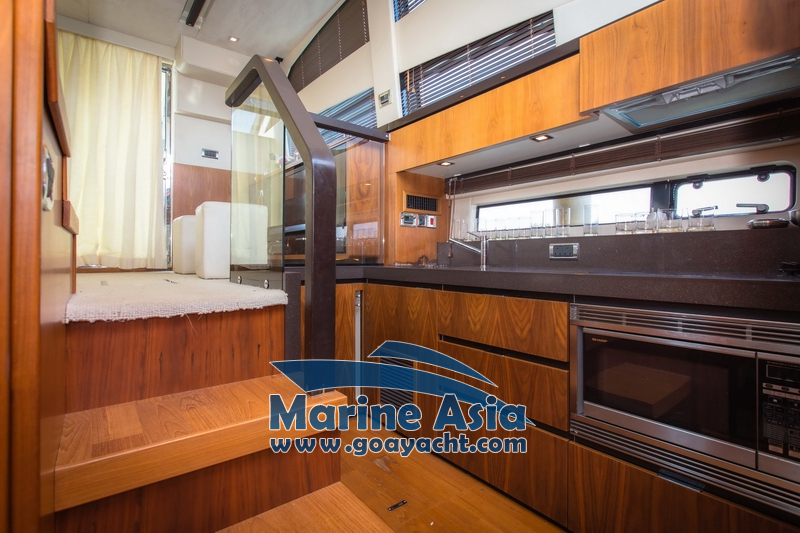 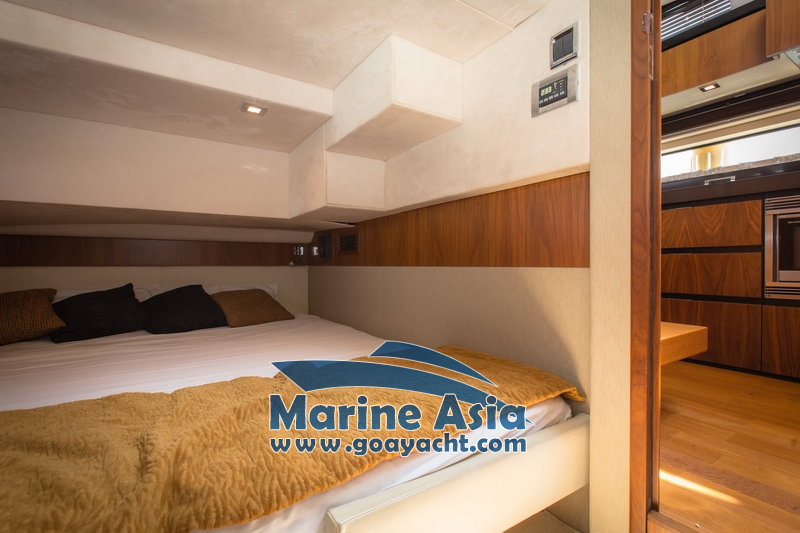 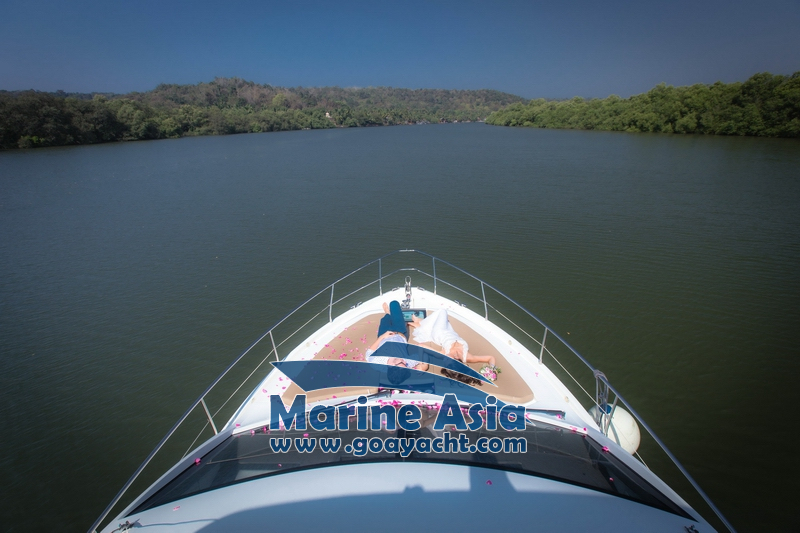 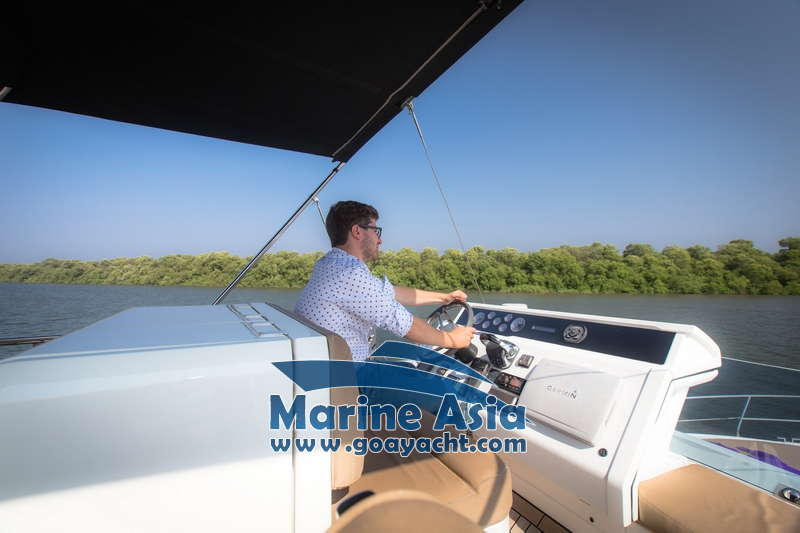 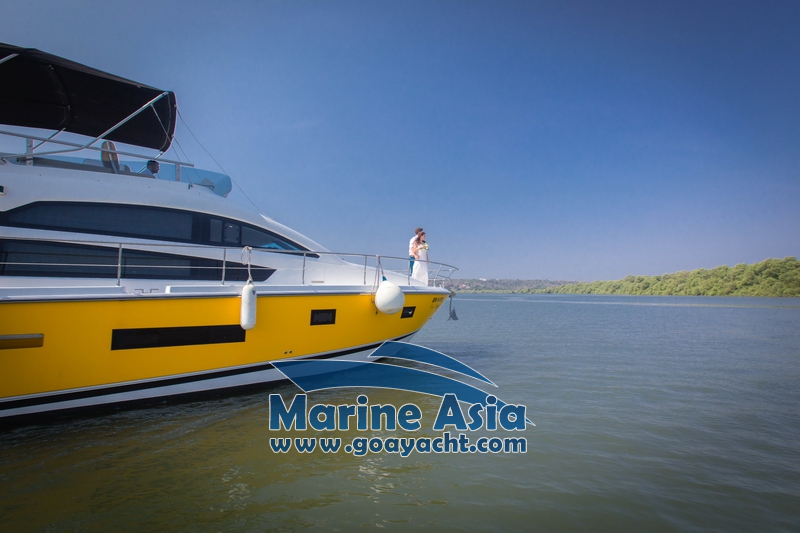 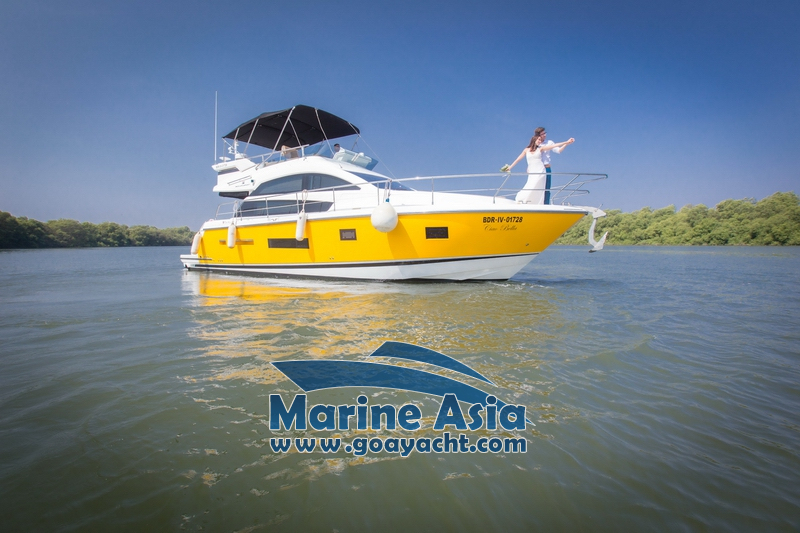 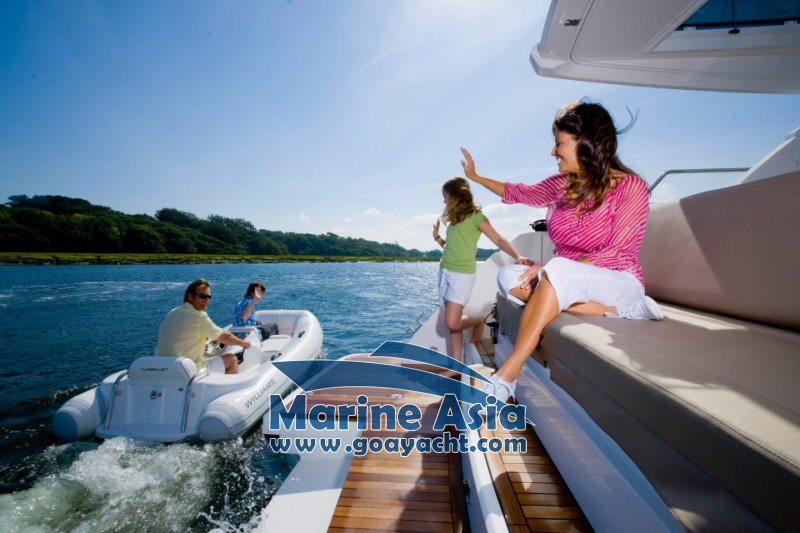 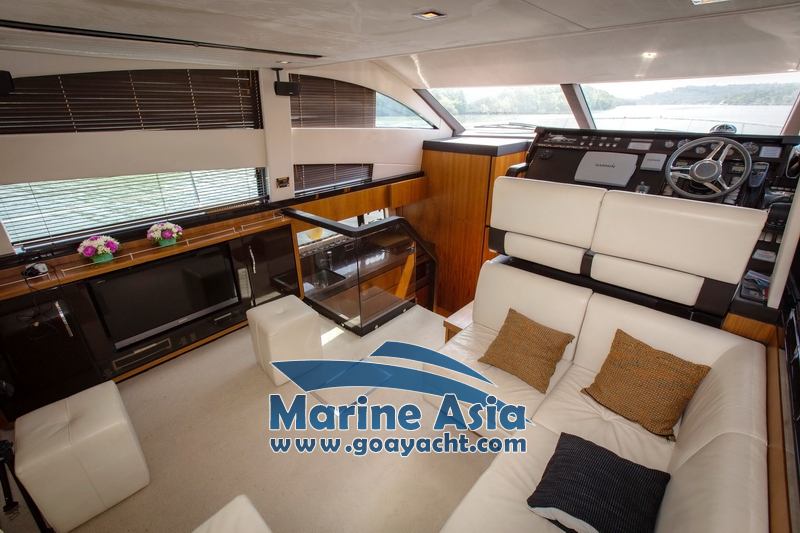 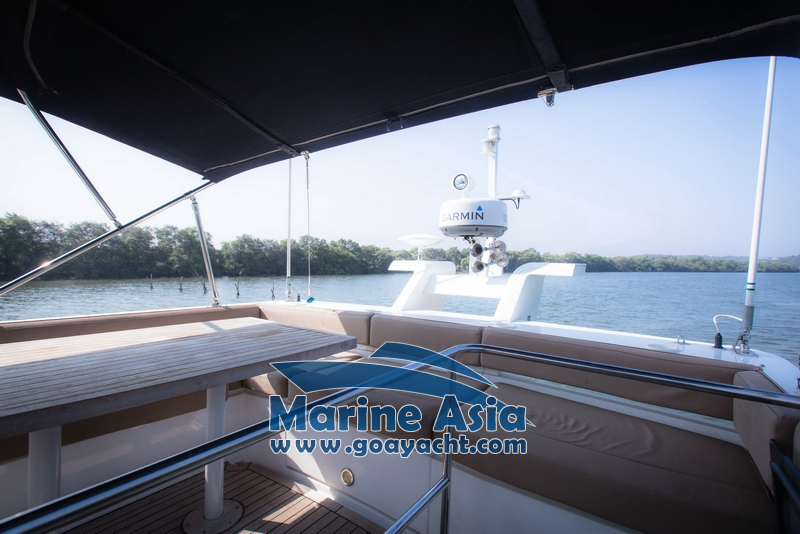 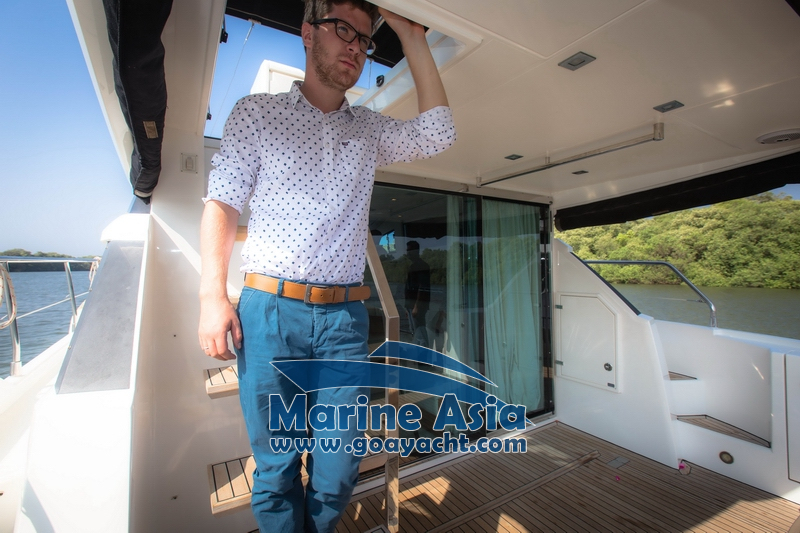 This yacht proved to be one of our most ambitious challenges in Goa. 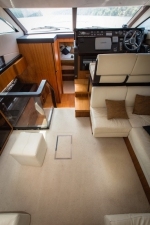 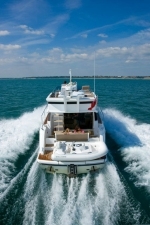 The Fairline Squadron 42 is a two-cabin flybridge yacht with a comfy saloon, an open-plan galley, a large cockpit and an innovative launching system for the tender. 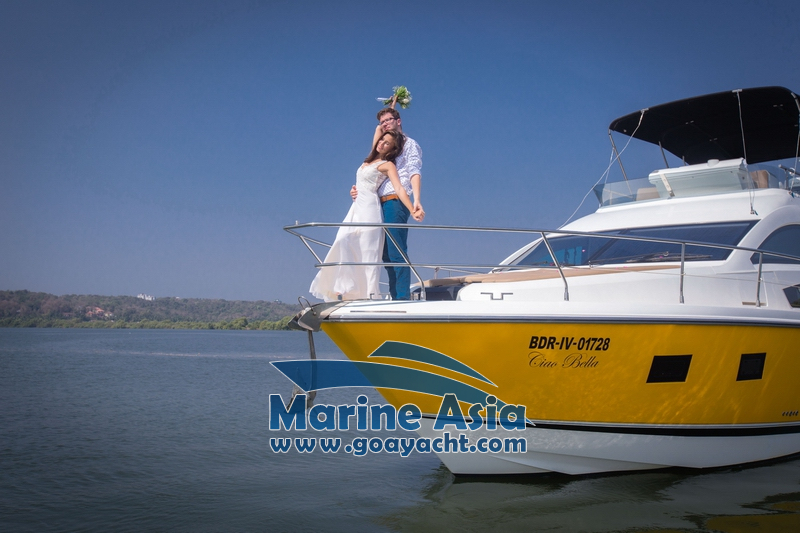 We can serve on board many various of dishes as per guest choice. 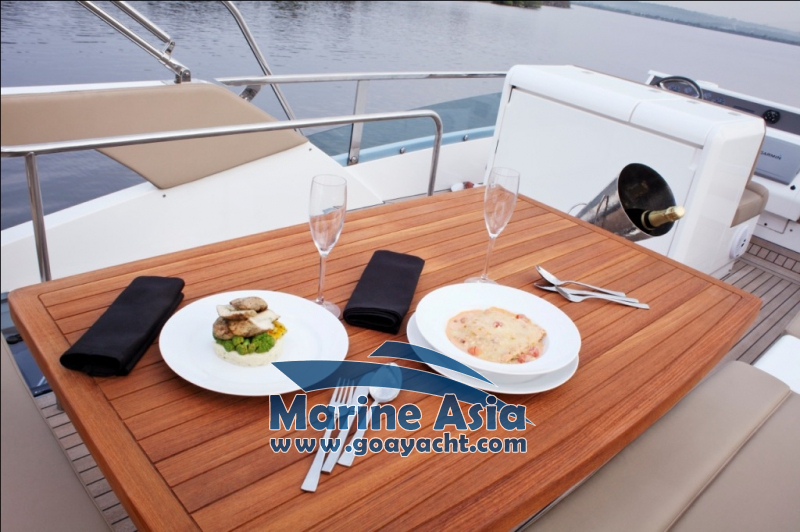 We can serve fish (mostly barbecue) and seafood (calamari or shrimp salad) with mixed green season salad on the first evening. 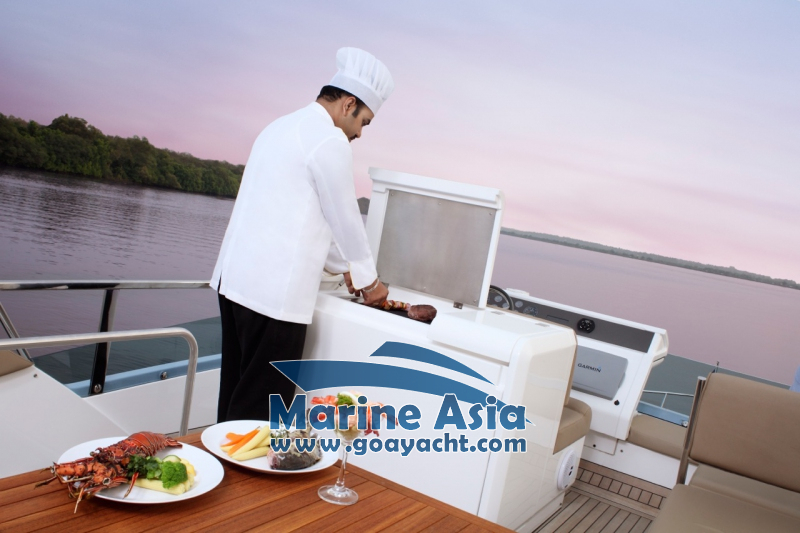 Evenings the main dish can be chicken or mixed barbecue. 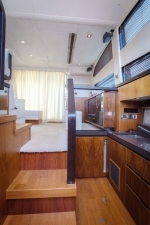 Food and beverages is charged separately. 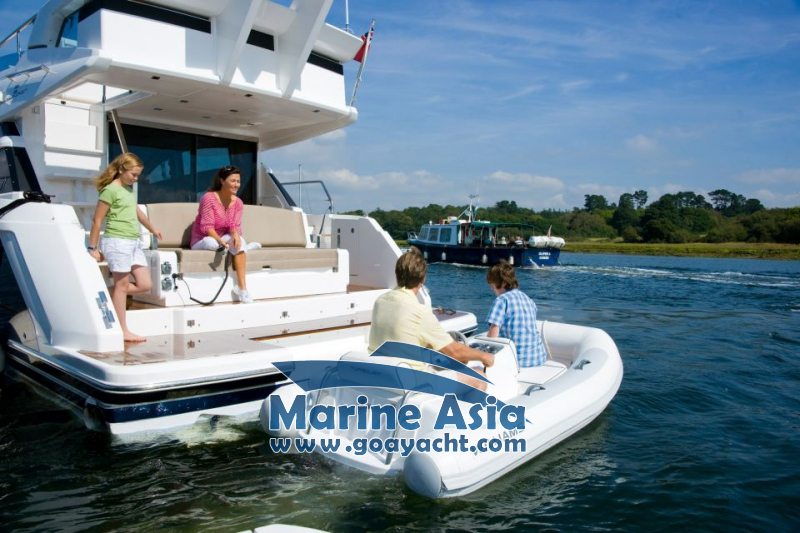 Call us to get more details. 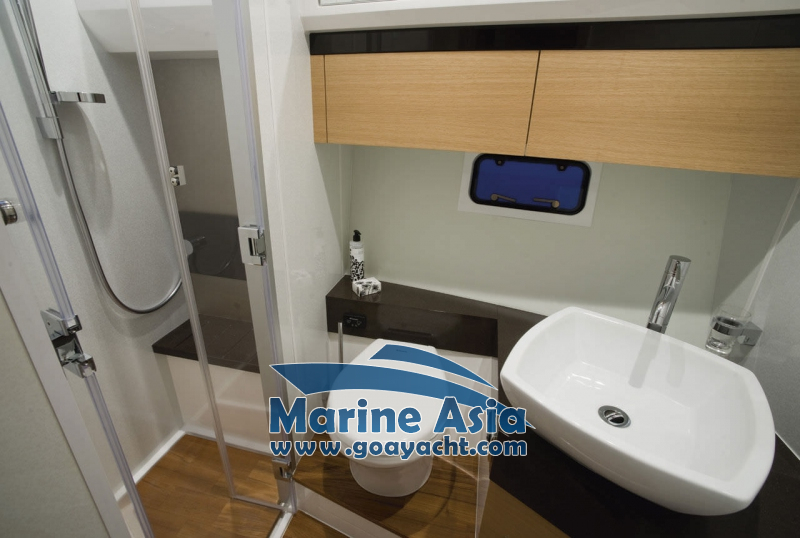 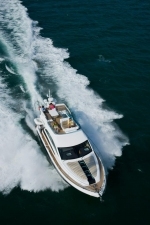 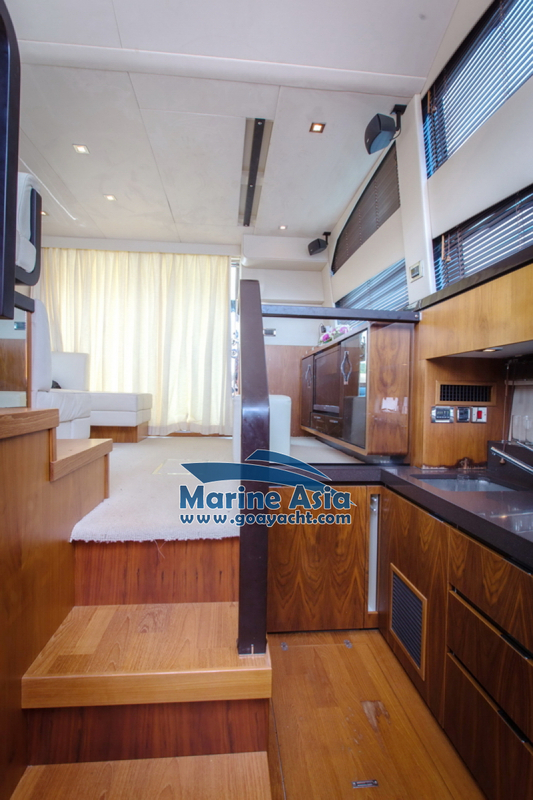 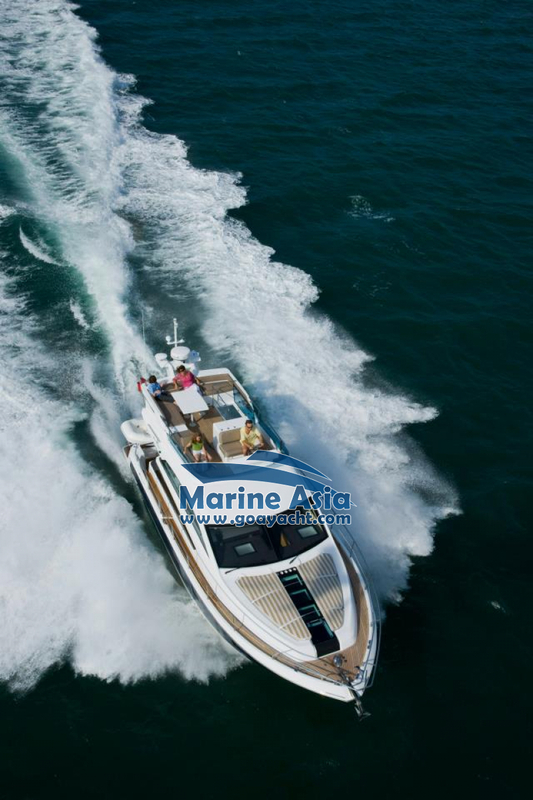 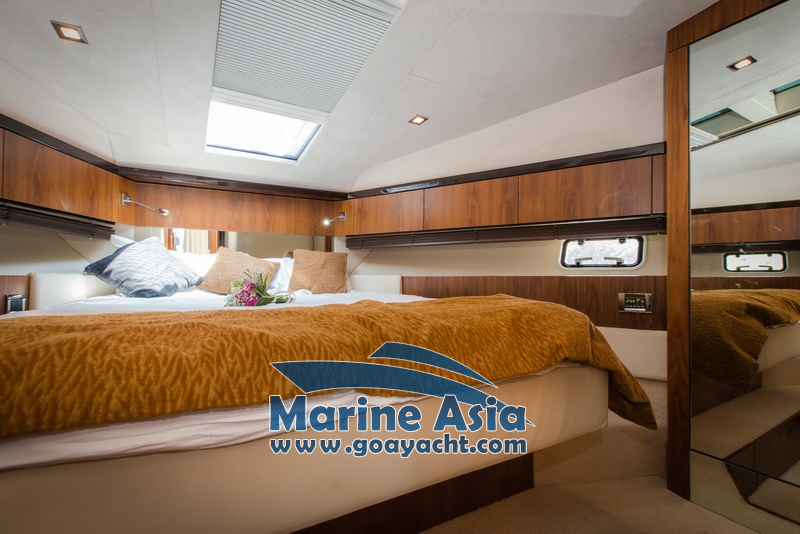 Read more about yacht Fairline Squadrone 42. 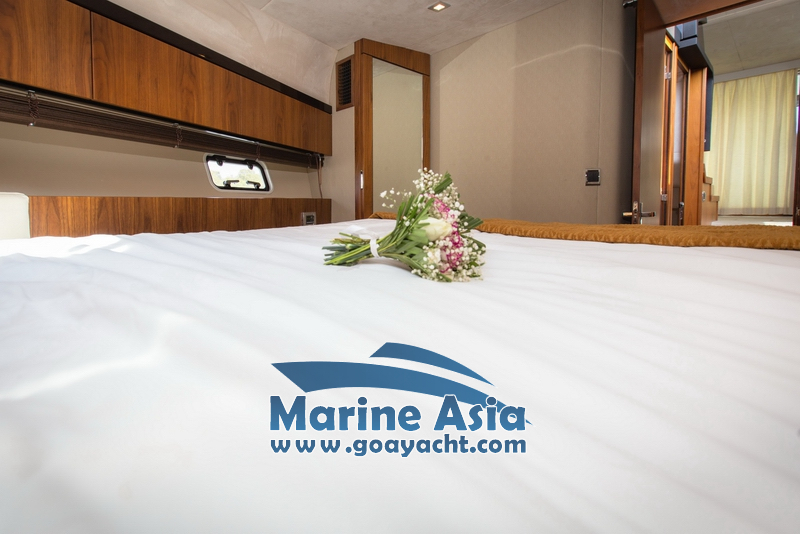 * Please add 10% service charge to the above rates.